New York, NY – Lev Manovich, acclaimed new media expert and Professor of Computer Science at The Graduate Center, CUNY, will release his latest work Software Takes Command on July 4, 2013. Published by Bloomsbury Academic, this new book from the celebrated author of The Language of New Media is the first to offer a rigorous analysis of the technology we all use daily - software for media authoring, access, and sharing. What motivated developers in the 1960s and ‘70s to create the concepts and techniques that now underlie contemporary applications like Photoshop, Illustrator, and Final Cut? How do these tools shape the visual aesthetics of contemporary media and design? What happens to the idea of a “medium” after previously media-specific tools have been simulated and extended into software? Does “media” still exist?Lev Manovich answers these questions through detailed analysis of key media applications such as Photoshop and After Effects, popular web services such as Google Earth, and milestone projects in design, motion graphics, and interactive environments. Software Takes Command is a must for technologists, designers, artists and researchers concerned with contemporary media and digital culture. In addition to soft cover, hard cover, and e-book, the complete book will be available as free download under Creative Commons License. For media inquiries, including interview requests and review copies, contact Katy Otto at (240) 478-9387 or katyotto@gmail.com. "Computers haven't transformed media--they've shattered the very idea of a medium. Lev Manovich connects the dots of software society, from layers in Photoshop to layers of data, interpretation, and meaning.” Martin Wattenberg, Software Artist and Scientist. "Lev Manovich is the only media theorist around who is talking not just about what computers do but how they do it. 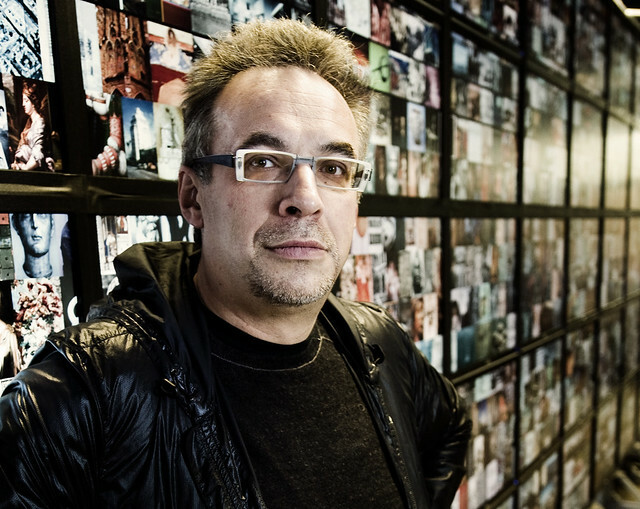 In search of mass media’s “Velvet Revolution,” Manovich peers behind the black curtain of software. There he discovers the hybrid languages and slippery workflows that drive today’s ubiquitous mix of animation, typography, design, and live action." Ellen Lupton, Curator of Contemporary Design, Cooper-Hewitt National Design Museum. "Through a theoretical analysis of the computer as cultural metamedium and a probing history of 'media software' such Photoshop and After Effects, among others, this is essential reading for anyone interested in how software has changed how we work, create, and perceive the world." Tanya Clement, Assistant Professor, School of Information at the University of Texas, Austin. "This long-researched book, which synthesizes critical theory, human-computer interaction, and media history as well as newer approaches from the digital humanities, allows software to take its place as a commanding element in our conversations about computers, and how we work, play, learn, and create." Matthew Kirschenbaum, Associate Director, Maryland Institute for Technology in the Humanities, University of Maryland. Lev Manovich is Professor of Computer Science at the Graduate Center, City University of New York, Director of the Software Studies Initiative (www.softwarestudies.com) at California Institute for Telecommunications and Information Technology, and Visiting Professor at European Graduate School. His earlier book The Language of New Media was described as "the most suggestive and broad ranging media history since Marshall McLuhan." Read more about Lev and his work at www.manovich.net or follow him on Twitter at twitter.com/manovich. For more on Software Takes Command, visit www.manovich.net/softbook.